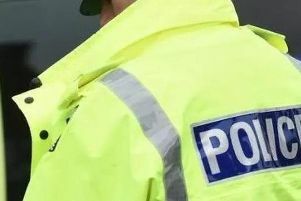 A robber knocked at a man's door, threatened him and grabbed him by the collar before leading him round the house in a hunt for money. Detectives are now appealing for information on the robbery, which took place in Manor Way at around 4pm on April 12. The victim emptied out two drawers in the property and handed over some loose change, a bank card and some keys. Police said the male suspect then fled through the front door and ran towards the field next to the house. The suspect is described as mixed race, average build and 5ft 10in, with light coloured hair and a long chin. Anyone with any information is asked to contact Detective Constable Craig Foulkes at Huddersfield CID via 101, quoting crime reference 13170166171. Alternatively information can be passed to Crimestoppers anonymously on 0800 555 111.